This cleaner helps remove of soap scum, body oil, lime & water scale and rust deposits from surfaces. An acidic product which can be used to clean all areas of the bathroom including benches, shower recesses, toilets and glass partitions. No choking acid fumes. Easily measured super concentrate requires only 2 pumps per bottle/bucket (pump included). 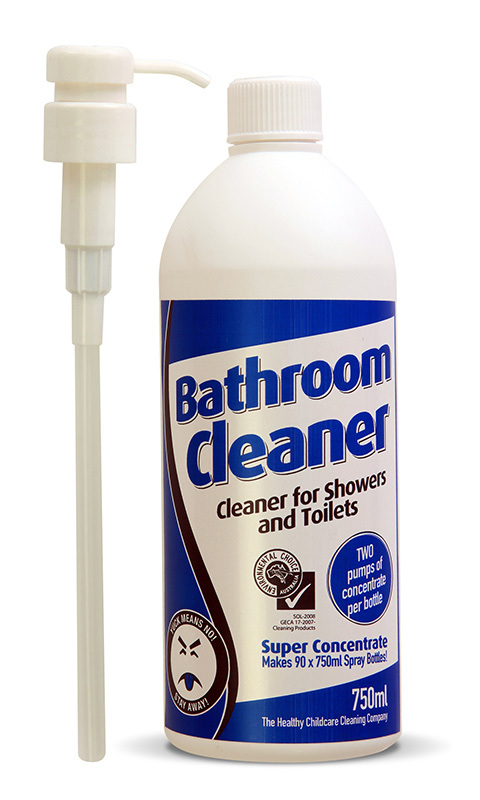 One bottle of concentrate dilutes with water to make up to 90 x 750ml Bottles of ready to use Bathroom Cleaner.